To imagine myself resting in the lap of a tender, loving God–what could bring more peace and joy? Creator, as You bring me into the fullness of life, there is nothing for me to do. What a strange thought. What a beautiful truth! Here I am. 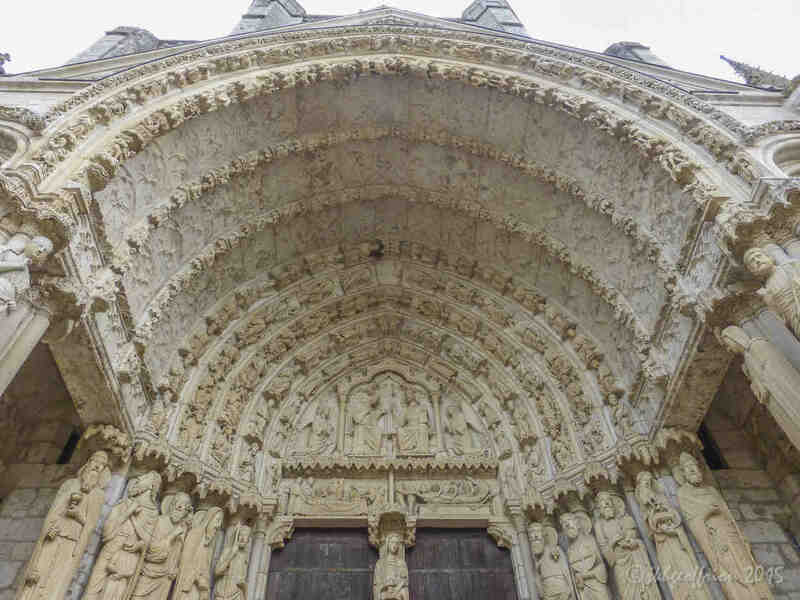 Photos: God creating humanity, twelfth century sculptures on the outer left voussoir of north porch at the Chartres Cathedral in France. Next Post Next post: Far or Near? Thank you Jill for the photo and gentle reminder that we are Loved by God. Resting in His lap with HIS love surrounding me is a perfect thought as I struggle with a with a lupus flare up today. Thank you Jill! My dear pilgrim Jill Kimberly. . Thank you for bringing me too into His loving arms today as I am on an emotional & now a Spritual ‘High’ !! 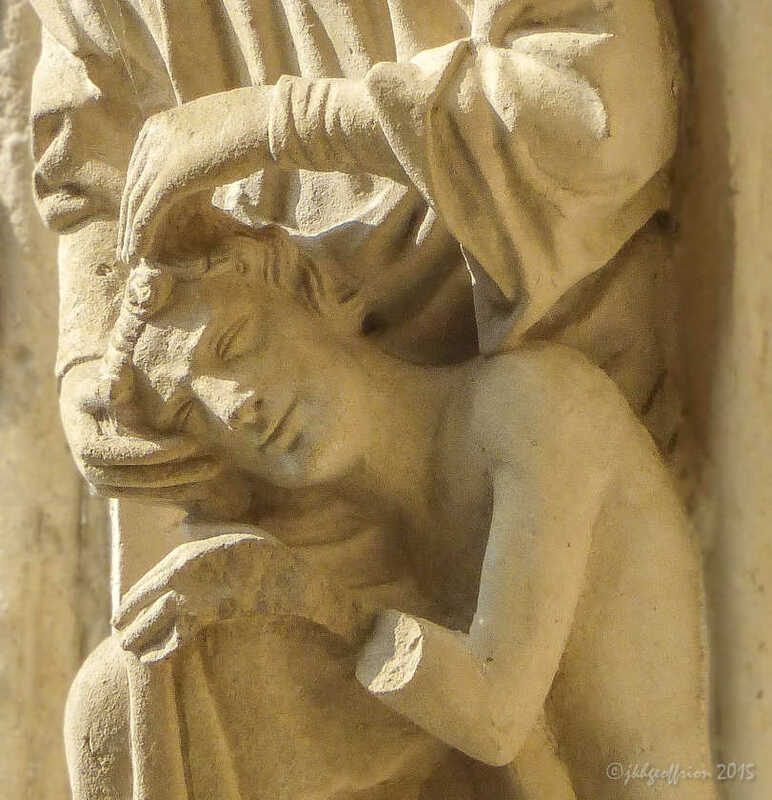 You have shared again w/ me the ‘Chartre Spirit’!! Blessings to u my Sistah! !